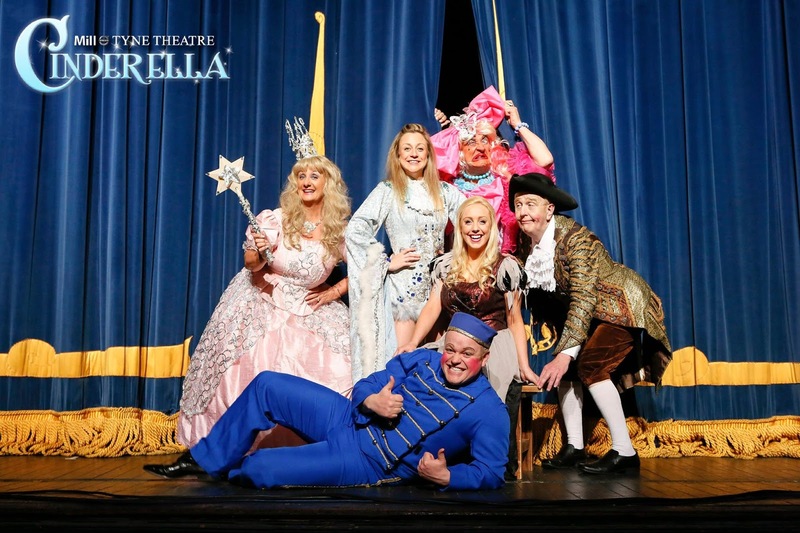 Dubbed as 'Panto as you remember it' we were delighted to be invited along to watch Cinderella* at The Mill Volvo Tyne Theatre which has been brought to Newcastle by The Newcastle Panto Company. The company have been filling seats at the theatre for 12 consecutive years and are definitely Panto veterans so we couldn't wait to see what this years show had in store. The Mill Volvo Tyne Theatre is conveniently located in the centre of Newcastle on Westgate Road - just around the corner from Stowell Street. We picked up our tickets from the box office and were guided towards the bar where lots of families were excitedly waiting to take their seats. I was really impressed to see some of the cast mingling amongst the crowd in character - the kids absolutely loved this! We bought the kids a snack pack from the bar which was only £3.50 and included a hot dog, sauce sachet, crisps, a chocolate bar and a capri sun. Superb value! No need to smuggle in your own sweets here. They kept our children occupied as we were waiting for curtain up. The theatre is beautiful and I was so pleased with our seats (Grand circle) for Jack's first proper pantomime experience. We had an excellent view. The show tells the tale of Cinderella but it has been brought up to date with modern and local references - The Ugly Sisters have been replaced by 'Shaz and Trace' and The Fairy Godmother gets a little lost in Newcastle and has to navigate her way through the streets to find the theatre. As promised, the show was full of traditional pantomime fun. Sweets (and crisps) were thrown into the audience which resulted in the theatre becoming full of excited children. There are plenty of spectacular costumes, speedy scene changes and music is provided by a live orchestra. The music is a mix of modern and old - the crowd couldn't help but clap along to 'Happy' and everyone was in hysterics during a unique rendition of 'The 12 days of Christmas'. Some pantomimes are full of spectacular stunts and elaborate routines but for me, I prefer something more traditional and this is certainly what you get with this show. Plenty of jokes (a few just for grown ups), slapstick routines, farce and traditional fun is really what makes a pantomime special. There were a few performances which really stood out for us - Buttons played by Numpty Norman (aka Charlie Richmond) wears his heart on his sleeve and was superb at interacting with the audience. He won us all over with his cheeky smile and jokes. Cinderella is played by Emily Swan who also does a fantastic job of choreographing the show - the child dancers in particular are heart warming to watch and my daughter loved watching their ballet routine in the woods. The star of the show for us though was 'Shaz' who is played by Maxie Peters and also happens to be the writer, producer and director of the whole show. It seems like Maxie was born to play the part of an ugly sister - his one off lines both on and off script were hilarious and the more we boo'd the more he seemed to play up to his role. Cinderella is a show for the whole family - there is only one tiny part that may upset sensitive children (when the ugly sisters stand on Cinderella's fingers) however this didn't effect my 3 or 5 year old at all as they were too busy 'booing' in their loudest voice. If you are looking for some traditional panto fun this Christmas that the whole family will enjoy, this is the show for you. 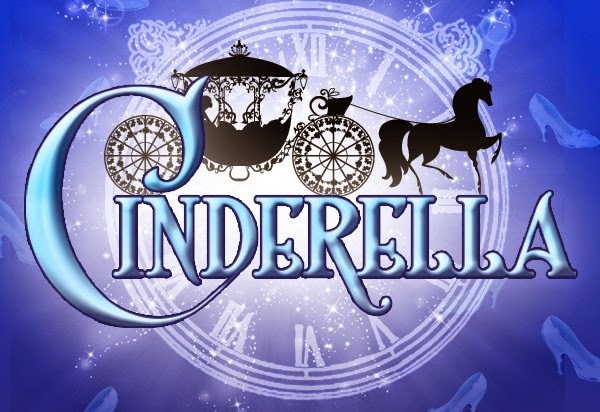 Cinderella continues at The Mill Volvo Theatre until January 30th. Tickets are available from £10. Love a good panto! We've been taking the kids ever since they were old enough, definitely one Christmas tradition I'll always want to continue.